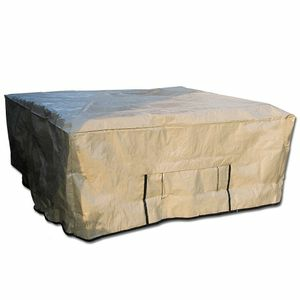 Protect your Hot tub from the harsh effects of year round weather HPIs protective cover is made of super-tough triple-ply woven polyethylene. This product will pay for itself many times over. Plus it prevents damage from fading, tearing, staining and cracking of your Hot Tub cover and cabinet. A flap allows access, or use to allow your spa to breathe.